These General Use Conditions (hereinafter "General Use Conditions") rule the access and use of the website sergiorossi.com (hereinafter the "Website") by the user. By accessing the Website and using it, the user confirms he has seen and accepted the General Use Conditions. The Website is managed and maintained by Diana E-Commerce Corporation S.r.l., a single man company subject to management and coordination of The White Dog S.r.l. with registered office in Torreglia (PD), Via San Daniele 137/139, 35038, Economic and Administrative Index no. PD442830, Tax code and VAT number 05097740285, fully paid capital stock 10.000 Euros (hereinafter the “Manager”), which is also the subject that sells products through the Website under the authorization by Sergio Rossi S.p.a..
1. The Manager can modify or update, partially or totally, these General Use Conditions. The changes and the updates of the General Use Conditions will be published on the Website Home page as soon as they are adopted and they will be binding as soon as they are published on the Website in this section. 1. The access and the use of the Website, including displaying web pages, communicating with the Manager, downloading information relevant to products and their purchase are activities that the user carries out for personal purposes and don’t involve any commercial, professional or entrepreneurial activity. 2. The user will be liable for the use of the Website and its contents. The Manager is not liable for the use of the Website and its content that does not comply with the regulations in force and the legal notes of the Website except for the liabilities for damage and gross negligence. In particular, only the user will be liable for communicating incorrect information or data, as well as false data or data from third parties who have not authorized their use as well as for the incorrect use of the data themselves. 3. The user is liable for the use of material downloaded from the website or obtained from it; therefore, the liabilities for damages to computer systems or loss of data resulting from downloading it from the website are charged to the user and can never be charged to the Manager. 4. The user is responsible for keeping and properly using his/her personal information such as the credentials to enter reserved services, as well as for negative consequences or injury caused to the Manager or third parties due to the incorrect use, loss or theft of information. 5. The Manager provides the Website as it is in the factual and legal state without any implicit or explicit warranty to the user. Except in cases of damage or gross negligence, the Manager will not be responsible for damage due to the use of the Website and the websites of third parties that are indirectly linked to its Website, such as damage to IT systems, loss of data or loss of commercial opportunities as well as any business interruption. Except for the law limitations, the Manager declines all liabilities for any damage due to the incapability to use the Website services or other damage caused by viruses, damaged files, errors, omissions, service interruptions, the cancellation of content, problems with the network, providers, telephone and/or telematic connections, unauthorized access, changes of data, no operation and/or malfunctioning of electronic devices of the user. 6. In accordance with the limitations of the regulations in force, the user commits to indemnify the Manager and its entitled persons from charges and damage, including legal costs, which might be caused by entering and/or using the Website in violation to the law in force and the legal notes on the Website and/or by violating the rights of third parties. 1. The Website contents, such as works, pictures, dialogues, music, sound and videos, documents, drawings, figures, logos and all other material, in any format, published on the Website, including menus, web pages, graphics, colors, diagrams, instruments, characters and the design of the Website, diagrams, layouts, methods, processes, functions and software, which are part of the Website (hereinafter the “Contents”), are protected by the author’s right and by all other intellectual property rights of the Manager and its entitled persons. It is forbidden to reproduce, partially or totally, in any form, the Website and its contents without the written authorization of the Manager. The Manager has the exclusive right to authorize or forbid the direct or indirect, temporary or permanent reproduction, in any form or way, either partially or totally, of the Website and its contents. 2. As concerns the use of the Website, the user is only authorized to display the Website and its Contents. 3. The user is not authorized to reproduce the Website and its Contents either partially or totally in any medium. Any reproduction will be authorized by the manager and, if necessary, by those who have rights on the works contained on the Website. However, the reproduction operations will be carried out for licit purposes and on the basis of the author’s rights and other intellectual property rights of the Manager and/or its entitled persons. The authors of the works published on the Website have, at any time, the right to claim the ownership of their works and oppose any deformation, modification or change of their works including any action against the works as well as the injury to their honor or reputation. 4. The user commits to respect the author’s right of those who publish their works on the Website or who collaborate to the creation of all expressive or artistic forms intended for publication, but not exclusively on the Website, or, that which is an integral part of it. Furthermore, the user is never authorized to use, in any way and form, the Contents of the Website and all works protected by the author’s right and other intellectual property’ rights. 1. All the distinctive marks of the products sold on the Website and contained on the Website are trademarks registered by their relevant owners and are used to distinguish, describe and advertise the products on sale. 2. The Manager and the other owners of registered trademarks are entitled to use their trademark in an exclusive way. Any use of these trademarks that does not comply with the law and is not authorized is forbidden and will be liable to prosecution. It is forbidden to use trademarks and other distinctive marks of the Website to take advantage of the distinctiveness or reputation or in a way that can damage the trademarks and their owners. 1. The individual and/or the legal person that has directly or indirectly (even by sending a specific hashtag) authorized Sergio Rossi S.p.a. (the “Grantor”) to communicate and/or publish or diffuse of a contribution of theirs, of any form or nature and on any support (including, without limitation, images, photos, videos, sounds, music, texts, and works of any type), grants permanently, irrevocably, non-exclusively, free of charge and royalty, all and any rights of economic exploitation including the rights related to copyrights and rights relevant to these contributions (hereinafter “Authorized Contributions”), with the sublicense right. Therefore, the Grantor expressly acknowledges that Sergio Rossi S.p.a. has the right to use the Authorized Contributions, to use or remove them at any time because Sergio Rossi S.p.a. its entitled persons are the only legitimate and competent subjects for these purposes for an indefinite amount of time. The rights are granted in the worldwide and for any use and economic exploitation. All Authorized Contributions will be non-confidential. Consequently, Sergio Rossi S.p.a. will be entitled to use, copy, distribute, reproduce, transfer, exploit, modify, process, transform, keep in a database, cut parts, modify and/or add, insert or replace comments and/or diffuse to third parties these contributions for any purpose and according to the methods and advertising and/or commercial strategies that Sergio Rossi S.p.a. and/or its entitled persons will decide (such as, without limitation, by reproducing and publishing the contributions by means of Facebook, Instagram, brochures, magazines, albums, collections, products, etc., even for commercial initiatives). Therefore, the Grantor authorizes Sergio Rossi S.p.a. and its entitled persons to match/link, directly or indirectly, the Authorized Contributions to the commercial and promotional initiatives, the image and the distinctive marks of Sergio Rossi S.p.a. and/or its entitled persons (without prejudice to the moral rights of the Grantor). and commits to indemnify Sergio Rossi S.p.a. and its entitled persons in any case in which one or more of the above-mentioned statements are false or incorrect. Sergio Rossi S.p.a. and its entitled persons will also have the right to communicate the identity of the Grantor and other third parties that claim that the Authorized Contributions breach their rights of intellectual property and/or their confidentiality. 3. Sergio Rossi S.p.a. and/or its entitled persons, will not be liable for breaching the rights of the Grantor and/or third parties directly or indirectly deriving from the use, in any form and way, of the Authorized Contributions, in any case, both for the contractual liability or non-contractual liability (including, for example, negligence or breach of the law) concerning: i) patrimonial damages (including, for example, any arising damage, loos of income, current or forecast profits, contracts, business, opportunities or forecast savings); ii) loss of reputation; iii) consequential or indirect damage suffered by the Grantor or third parties. 4. The Grantor accepts that he will indemnify Sergio Rossi S.p.a. and/or its entitled persons, and will hold it harmless from all costs, direct and indirect damage, expenses, losses, including legal and court fees relevant to any claim and/or application and/or action that can be performed at any place by third parties, including public authorities, administrative and state bodies, due to any dispute deriving from or relevant to the use of the contribution by Sergio Rossi S.p.a. and/or its entitled persons and to the statements and guarantees given by the Grantor in these General Use Conditions. 2. 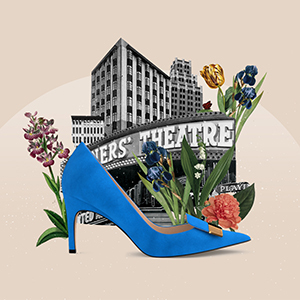 Anyone interested in linking to the Home page and other pages of the Website, which are publicly accessible, should contact the Manager at the following e-mail address customercare@sergiorossi.com, to ask for the authorization to the hypertextual connection. The Manager authorizes the applicant to enable the links free of charge and not exclusively after obtaining the authorization of Sergio Rossi S.p.a. and checking the applicant’s requirements. Sergio Rossi S.p.a. has the right to refuse an applicant to enable direct links to the Website in the event the applicant has adopted, in the past, disloyal commercial practices or practices that don’t comply to the industry use or has carried out actions of disloyal competition to Sergio Rossi S.p.a. or if Sergio Rossi S.p.a. fears that these practices can be adopted in the future, or if the applicant has adopted in the past, or might adopt in the future, some actions that might discredit Sergio Rossi S.p.a., their Website or their services. In any case, it is forbidden to enable deep hypertextual links (such as deep frames or deep links) to the Website as well as the non-authorized use of meta-tags to the Website without the authorization of Sergio Rossi S.p.a..
1. The Manager has taken every step to prevent content that describes or represents abusive scenes or situations from being published on the Website or content that can harm the civil convictions of the users as well as the human rights and the dignity of the person in any form and expression. Despite this, the manger does not guarantee that the Website content is appropriate or licit in other countries out of Italy. However, if the content is illicit or illegal in some countries, we recommend not entering the Website and, if the user decides to enter it as well, the way he will use the provided services will be of his own exclusive liability. 2. Moreover, the Manager has adopted all precautions to ensure his users that the Website content is accurate and free of incorrect or old information when it is published on the Website and possibly, even later. 3. 3For any problem detected in the use of the Website contact the Customer Care or the following e-mail address: customercare@sergiorossi.com. 4. Despite the Manager trying everything to ensure continuous access to the Website, the dynamic nature of Internet and its content might not consent the Website to operate without suspensions or interruptions due to the need of updating the Website. 5. The Manager has adopted technical and organizational measures suitable to safeguard security of its services of the Website, the integrity of traffic data and electronic communications with other use or knowledge forms not allowed as well as to prevent the risks of dispersion, description or loss of data and confidential and non-confidential information relevant to its users on the Website as well as unauthorized access or not complying with law regulations, data and information. 6. In the event of a breach of these General Use Conditions, the legal notes given in the Website and the regulations in force, the Manager will be entitled, anytime, to suspend, modify or cancel the personal account of a user. These General Use Conditions are ruled by Italian law. In the event of controversies arising from the General Use Conditions, the user can enter the platform for solving online disputes provided by the European Commission by the link https://webgate.ec.europa.eu/odr. These General Sales Conditions (hereinafter “General Sales Conditions”) rule the product offers and sales on the website sergiorossi.com (hereinafter “Website”). The products purchased from the Website (hereinafter the “Products”) are sold directly by Diana E-Commerce Corporation S.r.l., a single man company subject to management and coordination of The White Dog S.r.l. with registered office in Torreglia (PD), Via San Daniele 137/139, 35038, Economic and Administrative Index no. PD442830, Tax code and VAT number 05097740285, fully paid capital stock 10.000 Euros (hereinafter the “Seller”). 1.1. These Sale Conditions exclusively rule the offer, the dispatch and the acceptance of the purchase orders of the Products from the Website between the users-consumers (hereinafter the “Consumer”) and the Seller. The General Sales Conditions don’t rule the supply of services or the sale of products from subjects who are not the Seller even if they are present on the Website by means of links, banners or other hypertextual connections. It is the Consumer’s responsibility to check the sales conditions before sending an order and purchasing products and services from other parties who are not the Seller. Therefore, the Seller is not responsible for the supply of services from third parties or the conclusion of agreements, by electronic means, between the Consumer and third parties. 1.2. The Seller offers the Products on sale by means of the Website and carries out electronic commerce activity only to final users who are “consumers”, i.e. individuals who have no commercial, professional or entrepreneurial targets. Therefore, the Seller is entitled not to execute orders either from subjects who are not “consumers” or from subjects that don’t comply with their commercial policy. 1.3. Reading and approving these General Sales Conditions is compulsory to send a purchase order. If these General Sales Conditions are not accepted, purchases cannot be carried out from the Website. 2.1. The language of the agreement is English. 2.2. Purchase orders from countries not included in the list of countries won’t be accepted. 2.3. In order to conclude a purchase agreement, the Consumer, who wishes to purchase one or more Products from the Website, shall complete the electronic order form and send it to the Seller by following the given instructions. 2.4. The order form contains a reference to these General Sales Conditions and the Informative Note about the Right of Withdrawal as well as a summary relevant to the essential characteristics of each ordered Product and its price (including taxes or applicable fees), the payment methods, the methods of delivery the purchased products, the shipment and delivery costs, the conditions to follow for the right of withdrawal and the methods for returning the purchased Products. 2.5. Before purchasing the Products and sending the order form, the Consumer should carefully read these General Sales Conditions and the Information Note relevant to the Right of Withdrawal and Consumer should also be able to print, be familiar with or copy them for his/her personal uses. 2.6. Before sending the order form, the Consumer will be able to identify and correct mistakes, if any. 2.7. By sending the order form, the Consumer declares that he/she understands and accepts its contents as well as the General Sales and Use Conditions. The order won’t be executed if these contents as well as the legal notes are not fully accepted. 2.8. The prices of the Products might be updated. The Consumer should check the final sale price before sending the order form. 2.9. The agreement is completed when the order form is received by the Seller, by electronic means, and after making sure that the order is correct. 2.10. The Seller will not execute orders that are incomplete or incorrect or that don’t give enough guarantees of its solvency or if the Products are not available. In these cases, the Seller will immediately inform the Consumer if the ordered Products are not available, and, in any case, within 14 days from the day after the order was sent to the Seller. The Seller will let the Consumer know the reasons why the order won’t be executed and the Seller will reimburse the paid amount if the Consumer has already sent the purchase order and paid for the Products. 2.11. After the agreement is concluded, the Seller will mail the Consumer a purchase receipt that gives the information contained in the order form (see the General Sales Conditions and the Information Note relevant to the withdrawal right, the information relevant to the main characteristics of the Product, the detailed price, including taxes or other applicable charges, the payment method, the right of withdrawal and the delivery costs). 2.12. The purchase order will be filed in the Seller’s database for the period necessary to complete the order and in accordance with the law. The Consumer will be entitled to check his/her orders entering his/her profile and the proper section of the Website. 3.1. The Website offers only original Products marked Sergio Rossi and purchased directly by the Seller from Sergio Rossi S.p.a. and/or producers authorized by Sergio Rossi S.p.a..
3.2. The essential characteristics of the Products sold by the website are given in each Product chart. The images and the colors of the Products on sale might not correspond exactly to the real ones due to the Internet browser and/or the available monitor. 3.3. The Seller sells the Products with the legal warranty that complies with article III, Part IV, of the Law Decree 6th September 2005, no. 206 (the Consumer Code). The warranty implies that the Seller is responsible for the conformity defects of the sold products that appear within 2 (two) years from the delivery of the products. In order to be able to use the conformity warranty, the Consumer must inform the Seller about the defect of the purchased Product within 2 (two) months from the discovery of the defect itself. In the event that a conformity defect is reported within the terms, the Consumer may ask the Seller to repair the Product or replace it, free of charge in both cases; unless the repair and replacement are impossible or too expensive. The Consumer can also ask for a price reduction or the resolution of the contract in the event that the repair or the replacement is impossible or too expensive or if the Seller has not repaired or replaced the Product within a proper term or if the replacement or repair of the Product has caused a great inconvenience to the Consumer. In order to use the Warranty, we recommend keeping and providing the purchase documents of the Products. For further information about the legal conformity guarantee for the consumer, please see the Consumer Code. 4.1. The payment methods for the Products and the relevant shipment and delivery expenses are given on the order form and are part of these Sales Conditions. 4.2. If the payment is by credit card, the financial information (such as credit/debit card number and expiry date) will be sent by cryptographic protocol to banks or companies that supply the electronic remote payment without third party access to it. This information will never be used by the Seller except for completing the purchase procedures or for reimbursement in the case where the Products are returned, after the right of withdrawal have been implemented, or if it is necessary to prevent or inform the police about fraud on the Website. The Product purchase price and the shipment expense, as given on the order form, will be charged at the moment of the purchase. 5.1. The shipment of the Products ordered on the Website is carried out by express delivery. The delivery time is given in the “Shipment” page and it includes working days but not bank holidays. For personalized products or products made to order, delivery can take up to 5–6 weeks. 5.2. The Website automatically recognizes the country from which the consumer is being connected but it is possible to change the reference country of the Website. 5.3. The order must be carried out directly from the Website of the country identical to the delivery address. Those orders carried out in a country different than the destination country or to an address that is not accepted by the Seller’s courier (such as PO box and undressed mail) will be automatically deleted. 6.1. The Consumer is entitled to withdraw from the agreement concluded with the Seller without any penalty and without giving any reason, within 14 working days from the day he/she has received the Products purchased from the Website. Wait for the acceptance confirmation of the returns from the Seller and the relevant reimbursement. 6.4. If the Consumer decides to use the forwarder suggested by the Seller on the return form, the expenses for returning the purchased Products will be paid by the Seller. In this case, no expenses will be charged to the Consumer. 6.5. If the Consumer decides to use a carrier that is not given on the return form, the expenses for returning the products will be charged to the Consumer. the returned Products must be delivered to the forwarder within 14 days starting from the day that the consumer has sent the relevant Return Form to the Seller. The Products that, after deliver, are mixed with other goods. It is understood that exclusion of the right of withdrawal as outlined in the preceding points will not jeopardize legal conformity guarantees or the fact that customers are not liable for defective products. 6.8. If the right of withdrawal is exercised, the Product cannot be replaced with another one and the Consumer will have to place a new order. 6.9. If the terms and conditions of the right of withdrawal given in this paragraph are not followed, the Consumer will not be entitled to reimbursement of the amounts paid to the Seller; nevertheless, the consumer will have the right to get back, on his/her own expenses, the products he/she had returned to the Seller. Otherwise, the Seller might keep the products as well as the amounts already paid from them. 7.1. After returning the Products, the Seller will check that they comply with the conditions and terms given in paragraph 6. If the inspection procedure is successful, the Seller shall undertake to send the Client, by e-mail, the relative, returned Products acceptance confirmation, and shall go ahead with reimbursing the price of the products returned. 7.2. Despite the payment method chosen by the Consumer, the reimbursement is carried out by the Seller after checking the correct execution of the withdrawal right and in the shortest time possible and within fourteen (14) days starting from the day that the Seller receives the return communication. 7.3. The Seller will reimburse the Consumer by using the same method that the Consumer has used for the purchase unless it is agreed differently. If there is not a correspondence between the recipient of the Products and the person who paid for the purchase, the Seller will reimburse the person who carried out the payment. 7.4. The date of the currency of the reversal is the same of the charge; therefore, there will be no loss of bank interests. 8.2. Moreover, the General Use Conditions contain important information relevant to processing the personal data of Consumers as well as the adopted security systems. 9.1. The General Sales Conditions are ruled by the Italian law and, in particular, by the provisions of the law decree dated 6th September 2005 no. 206, the “Consumer Code”, with reference to the provisions relevant to distant contracts and the law decree dated 9th April 2003 no. 70 relevant to same aspects of electronic commerce. 9.2. In the event of dispute between the Seller and the Consumer arising from the General Sales Conditions, the Consumer can enter the platform for the resolution of an online dispute provided by the European Commission from the link https://webgate.ec.europa.eu/odr. 10.1. These General Sales Conditions can also be modified in the event of changes in the regulations. The new General Sales Conditions will be valid from the day on which they are published on the Website. Therefore, the Consumers should visit the Website regularly and check the latest version of the General Sales Conditions before purchasing any product. 10.2. The General Sales Conditions applicable to every agreement concluded by means of the Website are those that are valid on the day when the purchase form is sent. 11.1. The Consumer can get any information by contacting our assistance service, please write to Customer Care. 11.2. The Seller can be contacted by e-mail to the following address: customercare@sergiorossi.com. You can cancel the pre-order, prior to receiving the shipping confirmation e-mail, by contacting Customer Service. 5. ensure the proper and legal management of personal data, safeguarding the privacy of Website Users, as well as apply suitable security measures to protect the confidentiality, integrity, availability and resilience of the personal data provided. The Data Controller of the personal data gathered via the Website is Sergio Rossi S.p.a. (hereinafter also simply “Sergio Rossi” and/or “Data Controller”) based in Via Stradone, 600/602, 47030, San Mauro Pascoli (Forlì-Cesena), Italy; telephone: +39 0541 – 813111; fax: +39 0541 – 813345; email: privacy@sergiorossi.com. The elective, explicit and voluntary sending of emails to the email addresses posted on the Website entails the subsequent acquisition of the sender's email address – which is necessary to answer any requests – as well as the acquisition of any other personal information included in the message. 2.2 Data Collected by Sergio Rossi S.p.a.
(i) In the course of their normal operations, the IT systems and software procedures for the functioning of the Website acquire some personal data, the transmission of which is implicit in the use of internet communication protocols. This information is not collected in order to be associated with identified data subjects, but given the nature of such data, may allow Users to be identified if processed and combined with data held by third parties. This category of data includes the IP addresses or the domain names of the computers used by visitors to the Website, the URI addresses (Uniform Resource Identifier) of the resources requested, the time of the request, the method used to submit the request to the server, the size of the file obtained in response, the numerical code indicating the status of the response given by the server (completed successfully, error, etc.) and other parameters related to the operating system and the User’s IT environment. (ii) Sales data for Sergio Rossi products: purchase method, type, quantity and price of the Sergio Rossi products purchased. 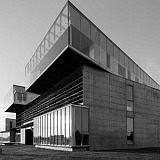 If Sergio Rossi were to process the personal data of third parties communicated directly by one of its Users (for example, if the User has purchased a product to be sent to another per-son or when the person who pays for the purchase is not the person to whom the product is being sent, or when the User wants to recommend a service on this Website to a friend), the User acknowledges that in this case they are the data controller of the processing of the personal data of the aforemen-tioned persons. For this reason, when providing Sergio Rossi with this data, you must guarantee that: i) the personal data that the User may disclose to Sergio Rossi has been processed by said User in accordance with current privacy provisions and ii) the aforementioned third parties have been duly informed by the User in advance concerning the methods and purposes of the processing and have given their consent. The User will be solely liable for communicating information and data concerning third parties that have not given their consent, as well as for any improper or illegal use of such data or information. The User’s personal data is collected and processed by Sergio Rossi for purposes strictly required for the use of the Website and its services. registration on the Website and the management of the technical administration of the Website and the User’s personal account. The legal basis for the processing of personal data for the purposes referred to above in paragraph 3.1 is the commercial relationship to which the User is party. The legal basis for the processing of personal data for the purposes referred to above in paragraph 3.2 is the User's explicit prior consent. 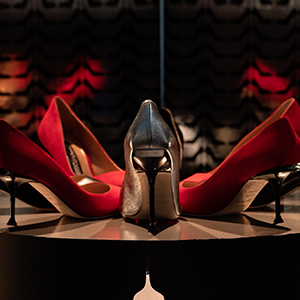 personalise the User’s experience with Sergio Rossi in line with their interests and purchase habits. However, it is not deemed that partly-automated profiling will produce legal ramifications for the User or have a significant effect on the User in a similar manner. The legal basis for the processing of personal data for the purposes referred to above in paragraph 3.3 is the User's explicit prior consent. It is understood that the mandatory or optional nature of data provision is specified each time when the personal data is collected via specific privacy policies. Should the User refuse to disclose personal data identified as being necessary, this will make it impossible to achieve the purpose of the specific collection. The provision of the User's personal data for the purposes referred to in paragraph 3.1 is optional, however, failure to provide said data will make it impossible for them to register on the Website and to establish and/or continue a commercial relationship and/or for the services connected to this relationship to be provided. The provision of the User’s personal data for the purposes referred to in paragraphs 3.2 and 3.3 is optional and failure to provide said data will have no effect on their ability to register on the Website and/or purchase products and/or receive the services requested, however we will not be able to inform the User about promotions and commercial initiatives or send invitations to events or assess their interests and preferences. The User’s personal data is mainly processed in electronic format and sometimes in paper format also. The personal data the User has provided will not be subject to fully-automated decision making. For a complete and updated list of the entities to whom data is communicated, you can write to the addresses given in Article 10 below “Contacts for exercising the rights of the data subject and other in-formation”. The User’s personal data will be stored on the servers of Diana E-Commerce Corporation S.r.l which are located within the European Union. In order to guarantee that the User’s personal data is always accurate and up-to-date, and thus pertinent and complete, we suggest that the User update the personal data they have entered in their account or that they contact a href="https://www.sergiorossi.com/en-en/contacts">Customer Care. The User's personal data will be transferred to foreign countries outside the European Union (for example, the USA) only with their express prior consent, except in cases where the communication is required by law or is necessary for purposes provided for by the law for which the consent of the data subject is not required and, in any case, in accordance with the provisions of current legislation. Exercising the above rights is without any form of restriction and free of charge. Sergio Rossi may only ask that the User verify their identity before carrying out further actions subsequent to the User’s request. To exercise their rights and/or receive any kind of information concerning how the commercial relationship established via the Website is managed, Users can write to: Sergio Rossi S.p.A., Via Stradone 600/602, San Mauro Pascoli (FC) Italy or send a fax to +39 0541 - 813345 or an email to: dpoprivacy@sergiorossi.com. The Website may also contain social sharing buttons. Specifically, these are “buttons” that carry social network icons, such as Facebook, Twitter, Instagram, Pinterest and Google+. These allow Users to reach and interact with social networks just by clicking on the icon. For example, the User can share content or recommend products from the Website on the social networks by using these tools. With the exception of cases where the User freely shares their browsing data with the selected social networks by clicking on the social buttons/widgets, the Data Controller does not share or disseminate any of the User’s personal data with the social network. However, Sergio Rossi cannot guarantee its Users that the measures adopted for the security of the Website and the transmission of personal data and information on the Website limit or exclude all risks of unauthorised access or leaks of personal data from the User’s devices. It is always advisable that the User’s computer has suitable software to protect against the transmission of their personal data on the internet, both incoming and outgoing, and that their internet service provider has adopted suitable security measures for sending personal data across the internet. This Website contains links to other websites that may have no connection to Sergio Rossi. The Data Controller does not control or monitor such third-party websites or their content. The Data Controller shall not be held liable for the content of such sites and for the rules adopted by them in respect to the User’s privacy and the processing of their personal data when visiting those websites. The Website is intended to be used and viewed by adults. For this reason, any requests from minors will not be taken into consideration. The processing of any personal data contained in the Authorised Contributions is carried out solely with the User's specific consent and will be based on the principles of fairness, lawfulness and transparency. Pursuant to Article 13 of the Privacy Act and Article 13 of the GDPR, we would thus like to provide the following additional information: personal data will be processed according to the limits and methods provided by the Privacy Act and the GDPR: i) for the promotional, commercial and advertising purposes of Sergio Rossi S.p.a. and its products, ii) via publication on the Website, as well as via Sergio Rossi S.p.a. accounts on social channels, such as Facebook and/or Instagram, as well as via the posting of contributions on promo-advertising material concerning Sergio Rossi and its products; iii) for the time strictly necessary to pursue the aforementioned purposes and, in any case, no longer than two (2) years; iv) in paper and/or digital format. The provision of personal data is optional, however if the User does not give consent to Authorised Contributions containing personal data they will not be published by Sergio Rossi. In the event that the User has expressed consent, this can always be withdrawn.